With the federal election set for October 19th and the campaigning officially started, here are a few things for communications pros to consider. First, be careful if you choose to align with any politician or party. You’re selling to everyone, not just people on the left or right side of the political spectrum. I once posted a political leader’s positive comment about my company’s app. It was an off-the-cuff endorsement which led to a spirited Facebook debate about the Liberals versus the Conservatives versus the NDP that I was happy to see die down. Also avoid launching your campaign at the beginning of October through October 20, unless your marketing communications strategy plans for the election and/or a golden opportunity emerges. News outlets have fewer reporters and their limited resources will be stretched covering the candidates and election news, including a deep dive into the results the day after the winner is announced. So unless you’re selling something connected to the election, don’t expect editors or writers to care. Now, if your product can effectively tie into the election and can give news media a consumer or business-focused perspective about what it all means to Canadians, then it might very well be worthwhile to plan to be part of the campaign news. For instance, since the economy is the lead story for the Conservatives, Liberals and NDP, companies that are growing or selling innovative products that can be tied to any aspect of the election, may have news worth sharing. I just saw this happen for a company I’m involved with that recently hosted a joint event with one of the federal ministries to announce a new program for Canadian Reservists. The event’s objective was to highlight job creation, which is also a focus of the government and Career Edge, where I volunteer. Although the government tends to take the lead with these types of media events and what private companies can communicate, there are other ways to piggyback on the current election news cycle. New products made possible by government funding, export growth to the US and overseas, innovation that showcases cutting-edge technology – any story that includes compelling data, something new and a human interest angle could be the next news story that influences consumers to do more than vote. Just make sure to plan carefully if it looks like this October is a good time to make news. 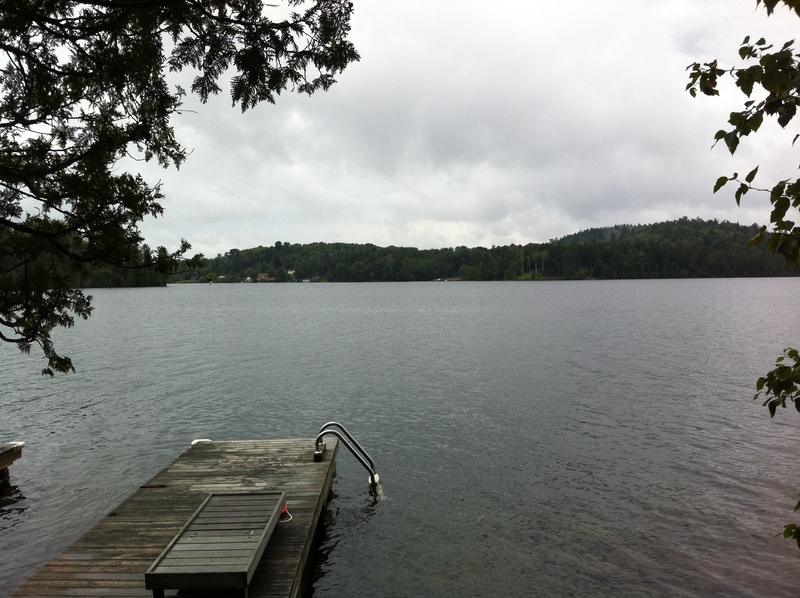 It’s been a hot summer up at the cottage in the near north of Ontario and the lake is warmer than usual. I love the combination of new and old here. We have Wi-Fi and an outdoor shower under the trees, a very modern kitchen and fire pit on the rocks by the water. In this home surrounded by forest by a lake, renovated rustic meets 21st century technology…. and 20th century technology in the form of a VHF radio. The marine transceiver, which we never turn off, is the most immediate way to broadcast to everyone on water and land up here. We get updates from the lake association and can talk to other cottagers and boaters, although anyone with a radio can listen in. It’s like an old party phone line except you don’t need to pick up the receiver to hear what’s said. I suppose this older communications device has similarities to Facebook, Google+ and other emerging media: it connects us to individuals and communities. Perhaps it’s closest to Twitter, though, since we primarily have short conversations about things that need to be done soon and about news that matters. Such as the today’s weather forecast, which predicted that this morning’s rain will make way for sun. Hope the sun’s shining and the water’s nice for you as well.